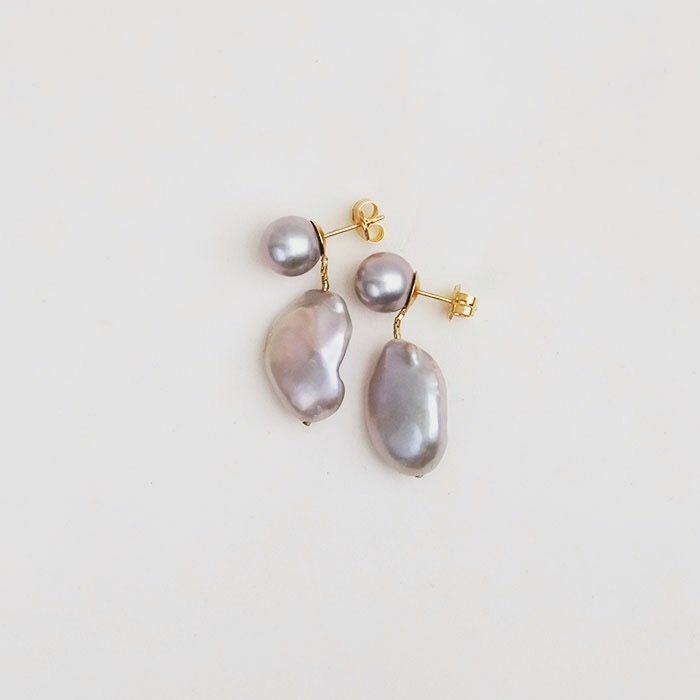 The M’lyn was our very first earring design and named after a woman who has three pairs. We have been making this earring in every combination of metal and stone imaginable. Here it is in blue topaz set in sterling silver but with a gold hook. Very tailored, it gives a finished looked​ to whatever you’re wearing.